Weather and fall pelagic trips often don’t mix well. The September two-day trip out of Hyannis, Massachusetts that I hoped to attend with the Brookline Birding Club was regrettably called off due to interference from the remnants of Hurricane Florence. The cancellation was a bit of a letdown, but I told myself that I was satisfied with the offshore action I experienced this year. The magical August adventure out of Brooklyn produced plenty of excitement! I’d made peace with the apparent reality that my marine birding would probably be limited to seawatching for the remainder of 2018. However, rough seas struck again. A horrendous forecast for the last weekend of October forced the See Life Paulagics team to reschedule their last New York trip of the year. The new date, on the first weekend of November, was much more favorable for me to join. I couldn’t resist the unexpected opportunity to get back out on the water! Unlike the summer overnight excursions, the journey began before dawn on Sunday. All-star crews of birders are the norm on New York pelagics, and this trip was no exception. 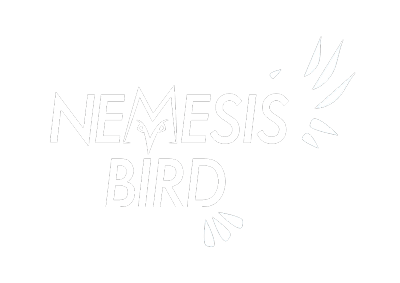 I was happy to have a great team of friends along for the ride, including Nemesis Bird founder Drew Weber. The shift of daylight savings time had gifted us an extra hour of sleep, but it also meant that the first colors of sunrise were visible shortly after we left the harbor. Even in the predawn darkness, we could see nocturnal migrants passing overhead in the light from the Brooklyn VI‘s upper deck. Doug Gochfeld expected to see lots of terrestrial transients on this late fall expedition, especially with a favorable northwest breeze hastening their southward passage across the sea. He’d brought along several potted plants to provide a vegetated hideout for any individuals who stopped to rest on the boat. Birder ingenuity knows few bounds, even though it might seem a bit ridiculous on the surface. The first migrating songbird we were able to positively identify was a Marsh Wren that caught up to the boat around sunrise. After several failed attempts to land on the vessel, it managed to grab onto Anthony Collerton’s jacket. It ended up bouncing back and forth between several different birders, landing on a camera lens here and a shoulder there. The most unorthodox perch selection was Brendan Fogarty’s face: the bird came in hot over the guard rail and latched onto his eyelid for a few seconds! The wren departed from the ship while land was still in view, presumably continuing on towards New Jersey. Other passerine migrants followed shortly thereafter, including a Golden-crowned Kinglet, an American Robin, a Purple Finch, a Pine Siskin, and several American Goldfinches. A Dark-eyed Junco made its way onto the Brooklyn VI fairly early in the morning, fighting through the wind and salt spray to crash down on the decks. It quickly found the seed and water that had been provided for just such an occasion, contentedly double-scratching atop a small pile of millet. The adorable stowaway offered endless entertainment as it explored the ship, hopping about with little concern for the humans towering overhead. We all had to keep an eye out to make sure the little sparrow wasn’t underfoot when we moved around the boat. The bird of the day, in terms of both abundance and spectacle, was the Northern Gannet. These striking seabirds are one of the most conspicuous marine species along the coasts of Long Island. They’re consistently encountered throughout the winter, often with a few individuals lingering in the region during the summer. Numbers increase dramatically during migration. The southbound movement in fall features many fresh juveniles as well as plenty of sharp-looking adults, with every age class in between represented as well. Gannets were our constant companions throughout the voyage. We usually had a few individuals following the boat and competing with the gulls in our chum slick. The birds were so close and cooperative that it was difficult to capture good photos of their wide, white wingspans! The extended observations were a real treat, allowing for close study of fine details like the piercing, icy-colored eyes and the golden, toasted-marshmallow wash on the heads of the adults. Due to their impressive appearance, extreme plunge-diving behavior, and close association with my home, I’ve always had a soft spot for this species. The one-day time limit didn’t allow us enough time to reach the Gulf Stream or the continental shelf on this outing. We ended up traveling roughly 70 miles offshore before we started to slowly meander back. There weren’t any surprises on the level of the last trip’s jaw-dropping Trindade Petrel encounter, but we still found plenty of cool pelagic birds hanging around. A few Parasitic Jaegers put in sporadic appearances, harassing gulls over the distant horizon line. A Manx Shearwater proved to be rather accommodating, showing well at fairly close range for several minutes. Only a handful of birders spotted a Sooty Shearwater around the time the sun came up, but it was hard to miss the Great Shearwaters that tailed our ship all afternoon. Several Black-legged Kittiwakes were observed throughout the day, usually not lingering for long before continuing on their way. There were occasionally Lesser Black-backed Gulls mixed in with the more common species off the rear of the boat as well. We were surprised to see Wilson’s Storm-Petrels so late in the season, but we turned up multiple individuals separated by several hours and miles. Landbird migrants continued to surprise us over the course of our journey. We added more goldfinches, another kinglet, Red-breasted Nuthatch, Downy Woodpecker, White-throated Sparrow, and Winter Wren to our tally of winged passersby, and a Brown-headed Cowbird ended up joining the junco on the boat. We also spotted two Eastern Red Bats winging their way south, a big shock for those on board who weren’t aware of the long distance migrations these airborne mammals undertake. Small flocks of Red-winged Blackbirds appeared repeatedly, drawing unwanted attention from the hungry hordes following the Brooklyn VI. The cowbird once tried to depart off the stern of the ship, only to be immediately chased back by attacking Herring and Great Black-backed Gulls. When the junco made a similar tentative flight beyond the boundaries of the vessel, it quickly returned to safety and lit daintily on my arm. I was more than happy to serve as a temporary perch for the little traveler. After catching its breath and briefly regarding me with its bright, beady eyes, it resumed foraging under the seats for scattered seeds and scraps. Late in the afternoon, we came across a large congregation of baitfish that had attracted a lot of attention from various marine predators. We first noticed the hotspot when we spied several fishing vessels in close proximity on the horizon, but as we drew nearer the swirling clouds of seabirds became visible. There were many hundreds of gannets circling the area, plummeting en masse into the sea with a chorus of guttural croaks. Small numbers of kittiwakes and shearwaters joined the chaotic flocks of gulls in the hopes of snagging a meal. Pods of Short-beaked Common Dolphins took a break from hunting and approached to inspect our boat. In the windless, flat calm of the evening, their bold patterns showed beautifully through the crystal clear water off the bow. The stars of this spectacular event were the large baleen whales working the shoals of fish from below. A pair of Humpbacks and a Fin Whale were spotted feeding alongside one another, resulting in a unique opportunity to study the two species in direct comparison. Observing the differences in dorsal fin shape, spout form, overall size and build, and foraging behavior in such a close encounter was a truly remarkable experience. They actually appeared to bump into each other several times while we were watching, and the dolphins repeatedly had to leap out of their way when they lunged for food. When the jaws of one of the Humpbacks broke the surface, its huge, distended pouch filled to the brim with water and fish, I apparently lost the ability to form coherent sentences and simply pointed across the deck with a comically awed exclamation. These magnificent marine mammals will never fail to impress me. I often wish that I could whale watch as easily and regularly as I go birding! I wonder what the junco, making another brief foray away from the ship, might have thought of the hulking, mist-spraying leviathans in the sea below. Eventually, we had to start making our way back towards Brooklyn. I watched the flukes of the whales and the storm of diving gannets disappearing in the distance as we headed for home. There were plenty of good beers and conversations to be had on the return trip. The placid sea conditions and brilliant sunset sky only served to make the journey that much more enjoyable. We finally pulled up to the dock in Sheepshead Bay after nightfall, exhausted but satisfied after another successful day offshore. Doug’s dad informed him that the junco had been spotted snoozing in one of his potted plants. This delightful news brought him a great deal of satisfaction and elicited sincere interjections of aww from several birders, myself included. I spotted it fluttering up to an adjacent pier as we disembarked, refreshed and apparently prepared to resume its journey south. I can scarcely comprehend the challenges encountered by avian migrants on their travels across the continents, and I’m glad we were able to give this particular individual a little help along the way. Even a creature as big as a whale faces serious challenges during its annual migration. It isn’t easy out there for wildlife, but that doesn’t stop them from fighting for survival with all they’ve got. Experiences like this trip remind me just how incredible the natural world is. Being fortunate enough to witness natural marvels, no matter how large or small, is a wonderful privilege.